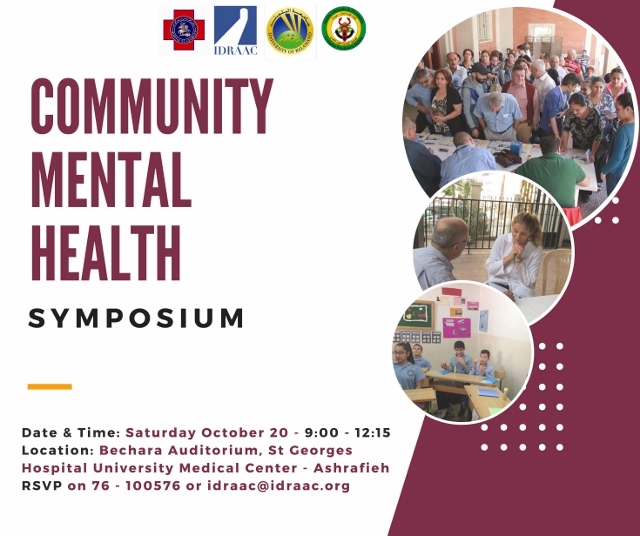 IDRAAC, in collaboration with the St Georges Hospital University Medical Center and as part of their annual congress, planned a "Community Mental Health Symposium" which hosted specialists in the field of mental health and psychosocial support and covered a variety of topics related to community mental health. The symposium took place on Saturday October 20, 2018 at the Bechara Auditorium (facing the St Georges Hospital University Medical Center- Ashrafieh). You can check more details on the following link.